A while back we had an article that mentioned how to listen to a voicemail of an unknown caller using the popular service SpyDialer. They have changed a lot in the last few months and this guide will provide an up-to-date account on how to find out who called you based on the voicemail of the number that originally called your phone. If you’re lucky, the person who created their voicemail will state their name at the beginning of the voicemail recording, giving you exactly what you need to find out more about the person who called to determine if it’s a telemarketer or someone who you want to talk to. The website has changed in the past year so this article is the most up to date version we have about the service and how to use it. Spydialer dials the unknown number of your caller and records the voicemail, the person who is being called does not have any record of being called, (it doesn’t show in the “missed calls” section of the phone) so it’s perfect if you are trying to be discreet or not let the other person know that you are trying to find out more about them. The program will record the entire voicemail, even if the person has not set up a voicemail on their phone. 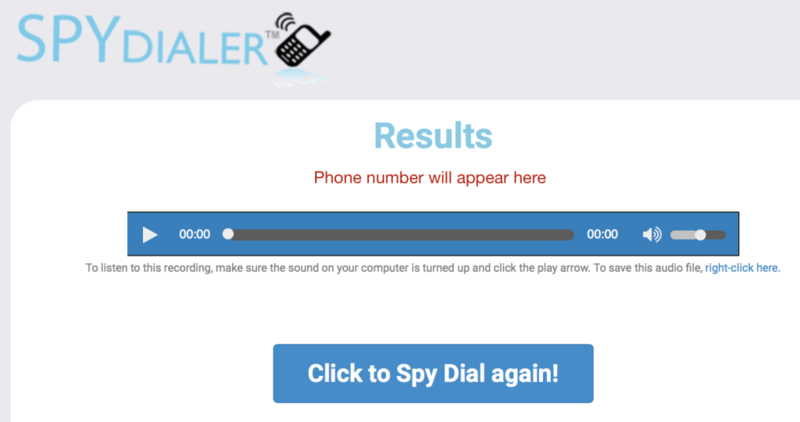 Spydailer will be able to call both cell and landline numbers (this service began on Dec. 1st, 2015). How do I use SpyDialer? Make sure that you have the “Hear Voicemail” button selected. Clicking on any of the other radio buttons will lead to a pay page where you need to give up your credit card details. We don’t want that! We just want to hear the voicemail. If you do not have a result, or the result is a blank page, you may need to update your flash player on your computer before you continue. You can right click on the text below the result in order to download the recording for playback at a later time. 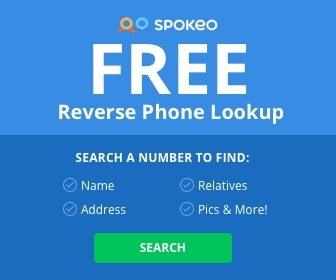 Spydialer lets you use their service 2-3 times until it asks you to upload your contacts or address book (must have a minimum of 25 contacts) to continue using the service, or pay $9.95 and receive 100 Spy Dials (good for 365 days). If you want to use the other services (not recording the voicemail) you will be directed to a third party. Can I opt-out of SpyDialer? You can remove your number from the Spy Dialer database. Simply fill out the form located on this page and you’ll be able to opt out of someone using the service to call your own number. Please note that this may take a few days to process. If for some unfortunate reason the caller does not have a voicemail setup, or does not say their name at the beginning of the voicemail recording, there is not much more you can use this service for, as their name and photo lookups will cost money and send you to a third party. You can use any of the other methods located here, or you can try the most popular Facebook method to perform a lookup of the phone number that you’re unsure of.